(BAYONNE, NJ) – Bayonne Mayor Jimmy Davis today announced the City of Bayonne’s “Combat Wounded Veteran Parking Initiative.” This initiative is being implemented in coordination with the Wounded Warrior’s Family Support’s sign distribution program (Wounded Warrior Family Support is NOT affiliated with the Wounded Warrior Project). “We’ve been in contact with Wounded Warriors Family Support over the past several weeks and look forward to the implementation of the program in key public areas throughout the City. This is just a small way of giving back to those who have already given all of us so much,” said Mayor Davis. Earlier this week the City of Bayonne received ten (10) signs which designate parking spaces for United States combat wounded veterans. Mayor Davis and city officials will now consult with local veterans groups on the placement of the signs. 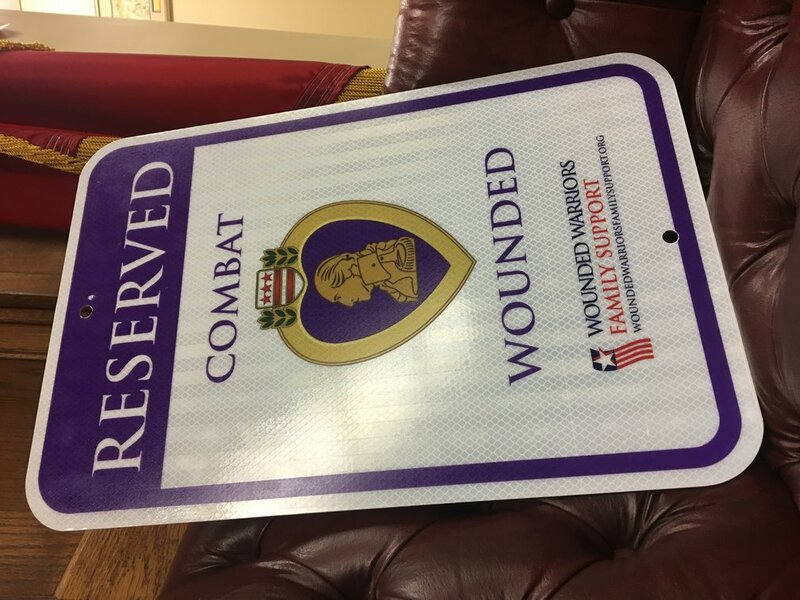 Wounded Warriors Family Support offers Combat Wounded Parking Signs, free of charge, to establishments as a way of honoring and recognizing these veterans. According to their website, “the response has been tremendous, stretching from coast to coast.” With signs having been placed in the parking lots of businesses, churches, schools and colleges, government, and medical facilities.